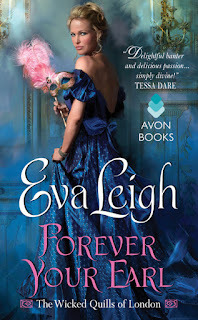 Today we have a fantastic little excerpt from Forever Your Earl by Eva Leigh. He moved with a long-limbed ease that betrayed his skill as a sportsman. His ink blue coat fit the broad width of his shoulders, and his cream and gold-embroidered waistcoat defined the shape of his torso—his tailor on Jermyn Street produced excellent work. Snug doeskin breeches were tucked into polished Hessians that came from Bond Street. 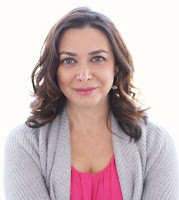 “I assure you, my lord,” she said bitingly, “The Hawk's Eye strives for the greatest of accuracy.” She had a network of sources which she used regularly to provide information. Many members of the aristocracy were in dire need of funds, and they gladly turned on each other in order to maintain the pretense of effortless wealth. Eleanor always paid her informants to keep them returning. Whether or not they lied to her just to collect payment wasn't her concern, but she always preferred it if she could validate their statements. Sometimes that meant going out and conducting a few investigations. But she was a very busy woman—writing articles, editing countless others, managing the paper’s finances—and didn't always have the time. 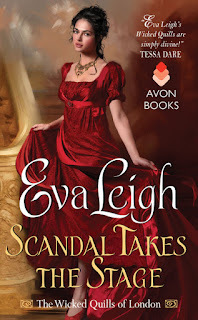 Forever Your Earl (The Wicked Quills of London Book 1) by Eva Leigh is a historical romance, released by Avon on September 29, 2015.